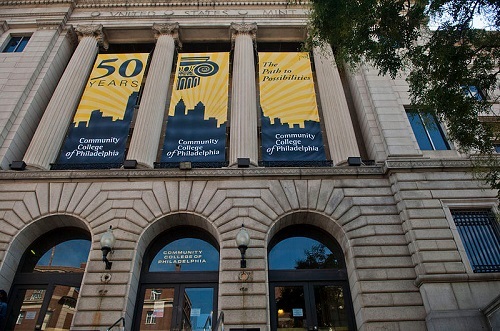 The Community College of Philadelphia, the largest public higher education institution in Philadelphia, is celebrating its 50th anniversary with a new program that will offset tuition for an estimated 440 students who are eligible for Pell Grants, beginning in the next academic year. The program is notable both for its alignment with President Obama’s national call to make community colleges more accessible and for its demonstration of how a city can make post-secondary education an attainable goal for low-income students through state and local partnerships. As background on how the program came to be, Donald Guy Generals, president of the Community College of Philadelphia, explained in a recent op-ed that it was the fortuitous result of budget increases to community colleges at both the state and the city levels. “The proposed funding will enable us to support student success and completion, and will allow us to further support existing programs while expanding others consistent with the local and regional economy,” Generals added. Because CCP views this new program as a source of enrollment growth, it is also launching a fundraising campaign to build a $10 million endowment. CCP aims to enroll 845 students in three years and eventually cover all student textbook costs. According to the Inquirer, these additional expenses are a part of the institution’s long-range fundraising goal of $40 million. A new study underlines the dangerous and deceptive nature of many college financial aid letters.